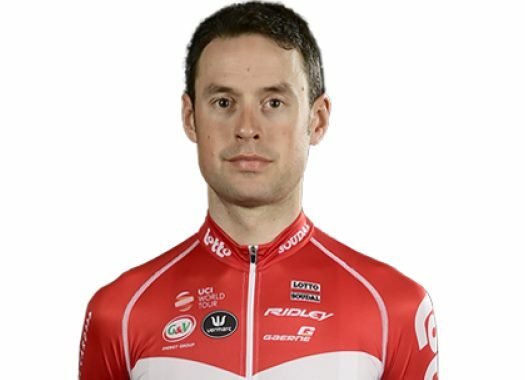 Lotto-FixAll's Sander Armee has been stung by a wasp and this has caused an allergic reaction that has left him unrecognizable. The sting happened just before the presentation of the Giro d'Italia and though at first the effects didn't seem more serious than a mild swelling around the eyes, a picture has shown that the rider is only getting worse and can barely open his eyes now. Though technically, the team could ask for a TUE to inject cortisone that would help him with the effects of the sting, the team nor the rider wants to use it. One of the reasons is that the team is part of the Mouvement Pour un Cyclisme Credible, which has as one of its rules that any TUE will require for the rider to leave competition for a minimum of eight days. With only two days into the Giro d'Italia, it is highly unlikely that any team would want to lose a member unless it can't help it. Meanwhile, Armee will continue riding the grand tour as he seems to feel good, which was shown when he finished with the peloton on the second stage of the race.